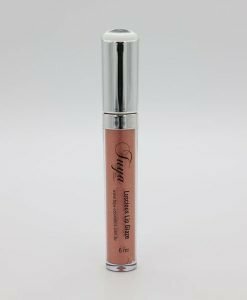 Highly pigmented, lightweight and long lasting tinted lip glaze. Saturated with nourishing, natural oils, rich in nutrients for a 100% naturally beautiful lustre. Six intense colours from vivid to muted shades. Offering stunning effects from matte to a highly mirrored gloss shine. 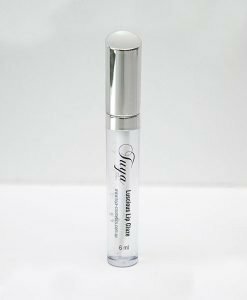 Tuya Luscious Lip Gloss also comes in a crystal clear finish for a bare lip sheen. Application Techniques: Apply with separate lip brush and allow to set. Tips: Mix with other glazes to create individual effects. Mattify or lesson shine by blotting. Use over Lip Stick to intensify base or change shade. Colour complete lip area with lip pencil then apply glaze for a subdued matte effect. Over glaze Lipstick for a magical long lasting shine. Ingredients: Hydrogenated Polysorbutene (and) Ethylene/Propylene/Styrene Copolymer (and) Butylene/Ethylene/Styrene Copolymer, Jojoba Seed Oil, Pomegranate Seed Oil. May Contain: Ricinus Communis Oil, Titanium Dioxide, Yellow 5, Yellow 6, Red 7, Red 6, Red 21, Red 40, Red 33, Blue 1 and Orange 5 Lake Dyes, Mica And Fragrance.